I was born in North Dakota and I have always had a passion for Archaeology and Wildlife. In 1969, while attending college, I began exploring the use of antlers to flake stone tools and arrowheads and then turned to carving belt buckles as a hobby. Somewhere along the way with the help and encouragement from friends, relatives and acquaintances High Country Arts evolved and has developed into an ever-expanding enterprise. 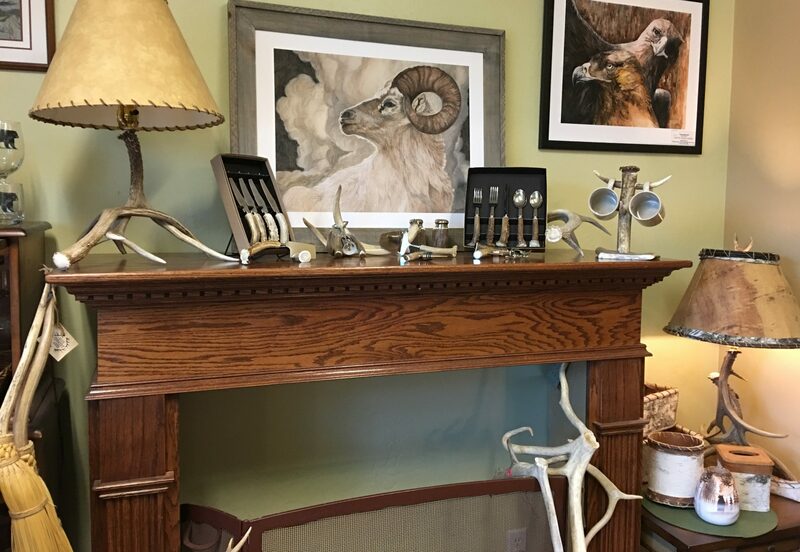 High Country Arts has been making antler, hickory and bronze products by hand since 1978. Antlers are all naturally shed – no harm to the animals! Our products are great with the popular rustic, farmhouse, lodge, cabin, log home styles…or any home looking for something unique! We pride ourselves in the workmanship and quality of our products! We use mostly hand tools and work each piece to perfection. From elk to deer antlers, stainless steel to bronze…we work with a wide variety of mediums and can customize many of our products with your logo, name, initials, etc. Handmade in Oregon. Check out our products on our Handmade and regular Amazon sites!